From the mountains of northern New Hampshire comes a unique blend of harmonies and guitars from Kathy Bennett and Thom Perkins. Bennett & Perkins released their first CD, The Kitchen Music Sessions, in the summer of 2010, produced in a farmhouse kitchen by multi-instrumentalist Davey Armstrong. They followed it up with their breakthrough album of original music, House on Fire in 2012, produced by Tom Dean and featuring musicians including Dean, fiddle virtuoso Joyce Anderson and mandolin player extraordinaire Tom Yoder. House on Fire is a powerful collection of songs with stories and music inspired by everyday lives, with songs of lost loves, lost lives and real life adventure, coupled with haunting harmonies and memorable arrangement of vocals and guitar, fiddle and mandolin. Their music is becoming a fixture on the regional acoustic music scene. It is frequently featured on the largest radio program of its kind in New England, the popular New Hampshire Public Radio Kate McNally's Folk Show. With many performances throughout Maine, the duo's music is often played on WERU, and they have performed live on air at their Blue Hill, Maine studios. The pair performs an eclectic blend of both original music and their own arrangements of a wide variety of works by songwriters around the world. They seek out arrangements that highlight their distinctive vocal and instrumental talents. While folk is a cornerstone influence for the pair, their music borrows from genres ranging from Americana, Singer/Songwriter, Roots, Bluegrass, Blues and more. Bennett &Perkins both bring vocal and guitar playing abilities to the stage. But what makes their music special is how their individual strengths so well complement each other. Thom Perkins began playing guitar at age 8 and was playing country fairs and coffee houses from Connecticut to California in the 1960s. His guitar playing is influenced by blues and ragtime and is often compared to Richard Thompson and Jim Kweskin. Over the years, he has shared the stage with the likes of Pete Seeger, Jonathan Edwards, Bill Morrissey and David Francey. Perkins performed a series of workshops and shows in the Madeleine and Cape Breton Islands of Atlantic Canada including the Red Shoe Pub in Mabou, Nova Scotia. Kathy Bennett is a classically trained vocalist who also began playing guitar as a child. Bennett on her own plays an eclectic mix of blues, rock, and folk. Before relocating to the North Country in 2002, she performed at coffeehouses and clubs in the Boston area and has opened for artists including Martin Sexton. Kathy startles the audience with her at once gutsy and lacy vocals. 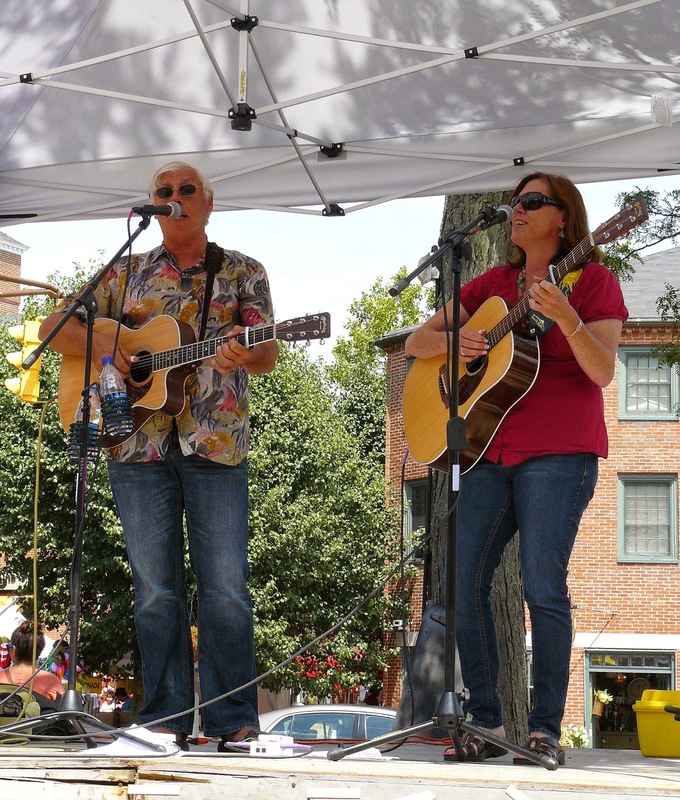 Bennett &Perkins have been frequent performers throughout New England, including multiple appearances at Ossipee Valley Music Festival, Maine’s largest acoustic music festival; the Maine Songwriters by the Sea concert series; the Fryeburg Fair; The Big "E" Fair; and the Atheneum on Nantucket. They have opened for Loudon Wainwright III, Peter Yarrow, The Good Lovelies and others, when they're not headlining shows themselves.